Ever wondered how famous investors created all their wealth? There are so many tips and tricks that they implemented helped them gain all of their success, and thankfully some of them wrote these down for you. Check out these books that’ll help you get started on building your perfect portfolio. Before you start your portfolio, read this book for an insight into how to to build the perfect one. Using different investment opportunities, from stocks, bonds, assets, or real estate, Malkiel evaluates and gives you new strategies for managing and rearranging your portfolio. The best part is that it will help out any age bracket and totally worth the read. Written by a nobel prize winner Robert Shiller, Irrational Exuberance is about his valuations on stocks, bonds, housing markets, and so much more. As one of the people who predicted the financial crisis of 2008, Shiller’s economic experience, theories and arguments are very interesting to learn about. Anyone can learn how to invest, and Allan proves this by sharing a story about how he taught his 8 year-old son the basics of investing. Allan teaches his readers specific techniques as to how to create a widely diversified portfolio and increase your retirement savings. While debunking financial myths, he simplifies known approaches to help you become a better investor. This short (only 154 pages) book will teach you everything you need to know to start investing. It outlines common mistakes that people make and how to properly monitor your accounts. This book is “smart” to read if you don’t have much time on hand and want to get started with managing your accounts right away. 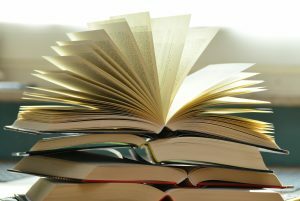 These are just some of the plethora of famous books that are perfect for the people who want to learn more before beginning their journey in investing.